Over the weekend, folks who go see “The Hobbit” will most likely get the opportunity to watch the brand new official trailer for “Man of Steel.” But if you don’t want to wait, you can watch it right now. Everyone who knows me already knows I am a huge Superman fan — comics, movies, shows, etc. I will admit that the wait until June 14, 2013, for this new Superman movie (starring Henry Cavill, Amy Adams, Kevin Costner and Russell Crowe to name a few) seems endless. I will have to wait six more months for that, but I have also been waiting for what seems like forever for this trailer to hit. Now that I have watched it I can say with certainty that the wait was worth it. It is definitely a fantastic treat to help with the long wait we have ahead. This trailer conjures together everything I love about Superman: his humanity, his relationship with his parents, his relationship with Lois Lane and his super-powers, specifically flight. This is a fantastic time to be a superhero fan, but what a special time to be a Superman fan. Next year will be a fantastic one for movies, but after watching this trailer, there is nothing I want to watch more. I don’t really have any words to describe what we are majestically presented before our eyes, but I will mention one point of interest for me: the flight scene. Flight is my personal favorite superpower, and although we have seen it before in movies, Superman is the master of the skies. The flying special effects for Superman should always be the best, and should put the rest to shame. Can we really see something we have never seen before? It won’t be easy to outdo the beautiful flying scenes in “Iron-Man” and “Thor.” But what “Man of Steel” will try to do is show us how he can actually take to the skies due to his genetic Kryptonian inheritance. In this trailer, there is a point when he is about to take flight, and he appears to breath in the cold artic air, with all his senses coming to life. He is down on one knee and he places his fist on the snow-covered ground. We then begin to see what seem to be the gravitons around him being neutralized. This is how Superman flies my friends, and with a swift leap he takes off. I truly believe this is going to look epic in theaters and I hope to be there first-hand to enjoy it. The color, the style, the images we see, it’s all seamless in my opinion. It’s a very colorful palette they seem to have together, as well it should be. Superman is not the “Dark Knight,” instead he is a beacon of light for humanity, no matter how evil or dark his nemesis may be, the movie should reflect the feeling its hero pledges: hope. Plus, we finally get a glance at what Zod (Michael Shannon) is going to look like in “Man of Steel,” and what a piercing image he is. Well, watch the trailer and please share your thoughts with us. I would love to talk about the trailer with you. “Man of Steel” is directed by Zach Snyder, and produced by Christopher Nolan, and it will fly into theater on July 14, 2012. This trailer re-affirms my belief that every “Superman” fan should at least give this film a chance to see it next June. It was simply epic and loved that it shows more of Cavill as Superman where he’s acutally fighting. The supporting cast looks pretty great from what we have seen in this trailer especially the Lane and Costner. I’m also excited to see the flight scene especially in IMAX as well as when Metropolis is being destroyed by Zod and his army. I wasn’t sure about them doing another origin story, but I think it is interesting to see them take it to where young Clark realizes about his powers where he was first frighten of using them in school and then as grows a little older and more mature with his powers that uses them for the first time to rescue the kids on the school bus and consequences that follows of using his powers including the shocking response from Papa Kent of him saying that “maybe” you should’ve left those kids dead instead of Clark exposing his powers. 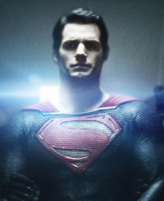 All in all, the trailer was again amazing and reengage my excitement for “Man of Steel”. Great job on the article, Josue!!! Thanks Eli, I wanted to talk about the Costner scene, the Lois scene, and various other moments of the trailer but it would have been endless, lol. I love this trailer as well. It fulfilled my fan dreams and will help me hang in there for the long 6 month wait. Finally a trailer that shows the epic scope of the film, still missing some major fighting scenes that showed at Comic Con this past July, but at least now it looks like a great action film. This trailer is all I could ask for since we are still 6 months away. But for the final trailer, we need to see aerial battles and havoc. I actually wouldn’t mind if they hold off on showing the battle scenes until its theatrical release instead of showing them in the next trailers because they already sold me of watching it in theaters next summer.